The current Coral free bet offer is bet £10 get £30 in free bets and there is no bonus code needed to claim this offer. Just follow any of the links to Coral on this page and you’ll be directed straight to the exclusive sign-up offer. Get a massive 300% bonus when you open a new Coral betting account today. Once you place a £10 bet, you will get three free £10 bets added to your new account to spend betting on the sport of your choice. Coral Free Bet – How does it work? 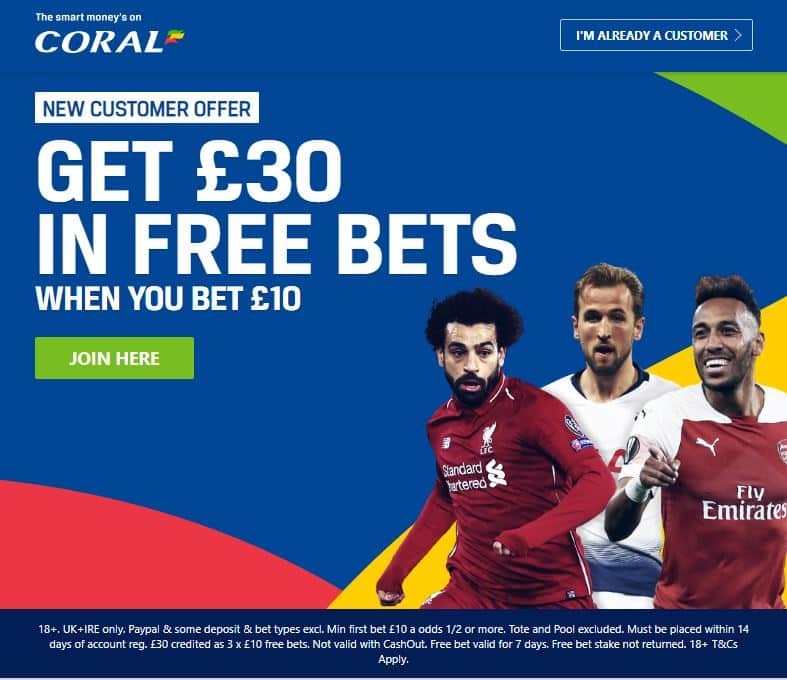 This is what the Coral homepage looks like – click JOIN NOW to get your Coral bookmakers free bet. Once you have opened your new account you’re ready to use the free bets. These can be spent on any sport including horse racing or football, and the free bet stake will not be returned to you, so it is worth taking this into account when placing the Coral free bets. The odds for your first bet need to be 1/2 or bigger, but it is totally up to you how you spend it. 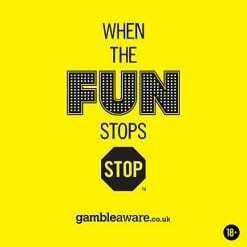 This must be placed within 14 days of opening your new Coral bookmakers account. Once your first bet is settled, you will be credited with the £30 sign-up bonus as three separate £10 bets. When you add a selection to your betting slip, you will see an option to use one of your free bets, or your own balance. If you choose to use one of your free bets you will not need to spend any of your own money. There is NO bonus code required for the Coral free bet in 2019. 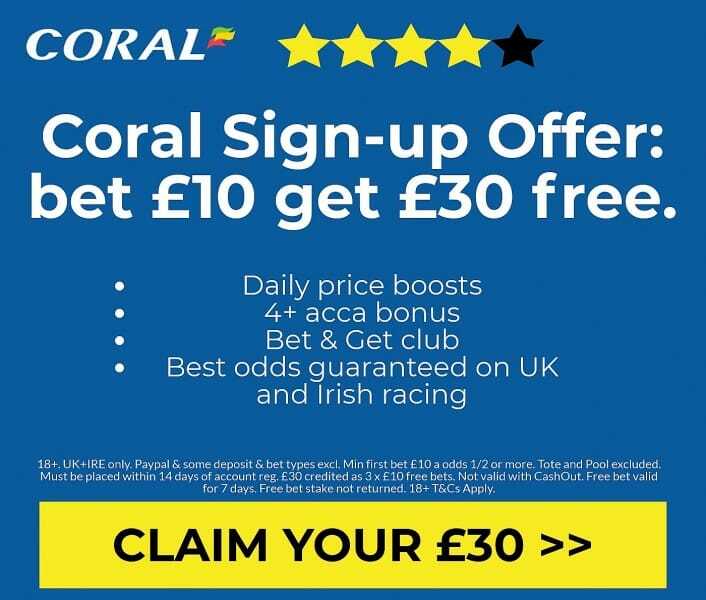 You just need to use one of our exclusive links to the Coral homepage to ensure you trigger the £30 free bet offer, otherwise you may only get a £20 bonus. 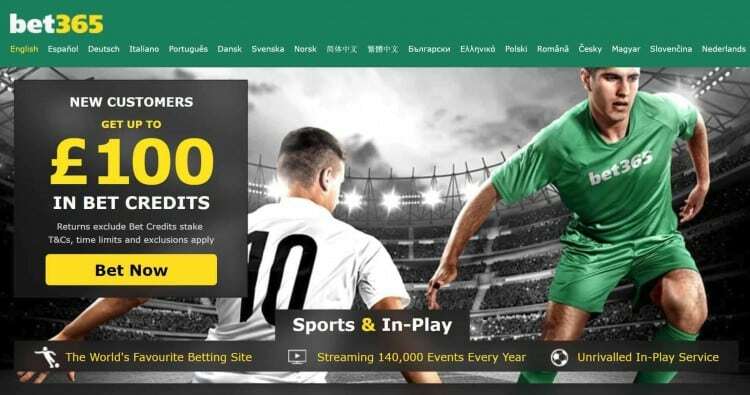 Coral are one of the biggest and best online bookmakers around and so they have a number of deposit and withdrawal methods including Visa, Mastercard, Skrill, Neteller, PayPal and Paysafe. 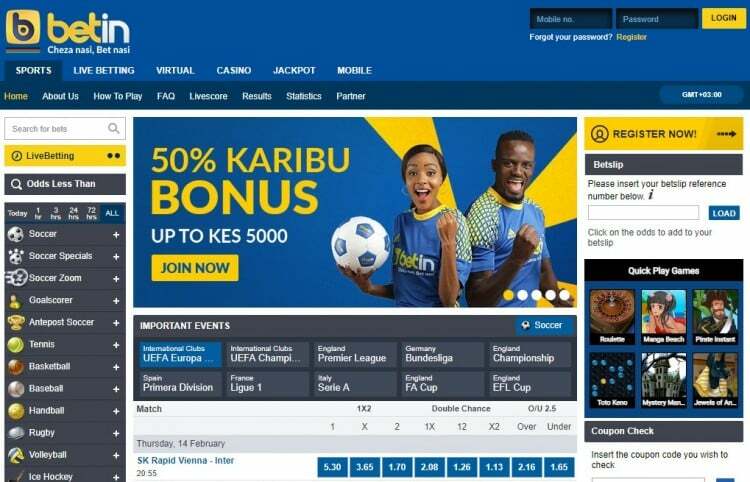 What is the Coral bet and get club? The Coral bet and get club allows you to earn £10 in free bets every week. You can claim this online or in shop through your Coral Connect Card. Qualify Online: All you have to do is log in to your account, opt in to the Bet & Get Club and accumulate £25 in settled bets on any sports markets (at odds of EVS or greater) from Monday to Thursday each week. Qualify in-shop with Coral Connect: Simply place a cumulative total of at least £25 on any sports markets (at odds of EVS or greater) from Monday to Thursday each week in-shop with your Coral Connect Card. Bet savvy with Coral and get 10% extra winnings paid as a free bet up to £100 with Acca Bonus. All selections must have minimum odds of 1/10 (1.10), with the overall odds being 6/4 (2.50) or greater. 18+. UK+IRE only. Paypal & some deposit & bet types excl. Min first bet £10 a odds 1/2 or more. Tote and Pool excluded. Must be placed within 14 days of account reg. £30 credited as 3 x £10 free bets. Not valid with CashOut. Free bet valid for 7 days. Free bet stake not returned. 18+ T&Cs Apply. You can see the full Coral free bet T&Cs here. The team behind the betting tips and offers brought to you across thatsagoal.com.